These early winners of the Caldecott Awards has staying power! And while the list is jam-packed with goodies, I’m going to let you know my family’s personal favorites, from books they’ve worn thin to ones we just can’t pass up when we’re at the library. My goal? To introduce you to some new children’s books that your own kiddos will fall in love with and treasure for years to come. To see which ones we love from the past decades, visit our other lists in this series! You can find these Caldecott favorites at your local library or purchase through the affiliate links provided for your convenience. 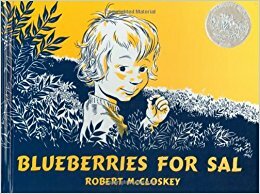 Blueberries for Sal: Blueberries for Sal received an honor award from Caldecott during its very first year. This book has truly stood the test of time. Description: What happens when Sal and her mother meet a mother bear and her cub? A beloved classic is born! 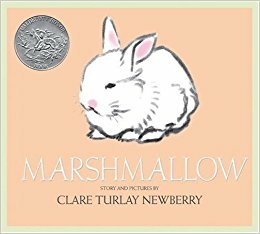 Marshmallow: I just adored reading this book to my boys, who couldn’t get enough of this adorable fluffy bunny. Description: Oliver is a tabby cat who is always the center of attention. Marshmallow is a baby rabbit who moves into Oliver’s home. At first Oliver does not welcome Marshmallow, but the little bunny’s charms are impossible to resist. This is the true story of how Oliver and Marshmallow become friends. Madeline: Doesn’t everyone just love Madeline? I know my boys do… the entire series, including the newest installments from Lugwid Bemelmans’ grandson. 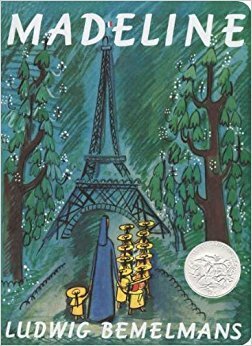 Description: The story of twelve little girls in two straight lines, the smallest one being Madeline, has delighted children for more than seventy years. 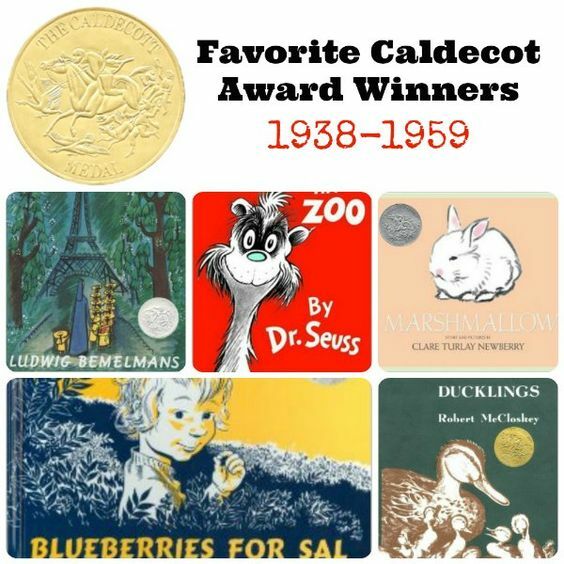 Now the beloved Caldecott Honor Book is available in sturdy board book format and a reduced size perfect for small hands. While the text is slightly abridged, none of the charm of the original book is lost as a new format brings this classic title to a younger audience. 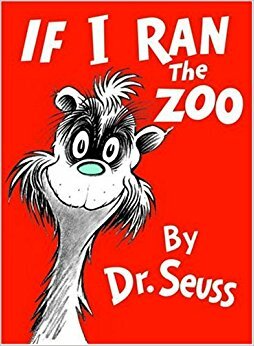 If I Ran the Zoo: This book was my dad’s absolutely favorite as a boy. And my boys get a kick out of reading about Dr. Seuss’ animal concoctions. Description: Animals abound in Dr. Seuss’s Caldecott Honor–winning picture book If I Ran the Zoo. Gerald McGrew imagines the myriad of animals he’d have in his very own zoo, and the adventures he’ll have to go on in order to gather them all. Featuring everything from a lion with ten feet to a Fizza-ma-Wizza-ma-Dill, this is a classic Seussian crowd-pleaser. In fact, one of Gerald’s creatures has even become a part of the language: the Nerd! 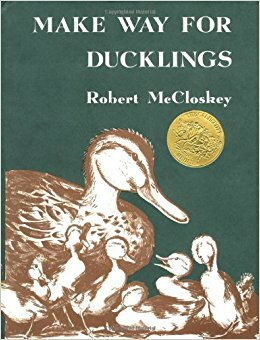 Make Way for Ducklings: This book was an early favorite in our family, having just come from a big city ourselves. Description: Mrs. Mallard was sure that the pond in the Boston Public Gardens would be a perfect place for her and her eight ducklings to live. The problem was how to get them there through the busy streets of Boston. But with a little help from the Boston police, Mrs. Mallard and Jack, Kack, Lack, Nack, Ouack, Pack, and Quack arrive safely at their new home.